Developer's dream, hard corner site at signalized intersection. 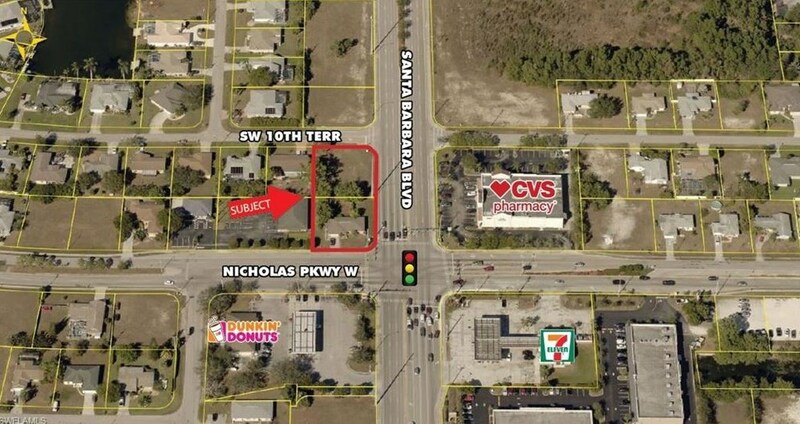 Prime location at the NW corner of Nicholas Parkway W and Santa Barbara Boulevard, assemblage of two P-1 zoned lots (corner lot with 1,86 SF house with 2 Br 2 Ba and a vacant lot), allows Professional Offices, Animal Clinic and potential Day Care Center (Conditional Use Approval). The property is situated at the hard corner of the signalized intersection, with three frontages of 250' frontage on Santa Barbara Boulevard and 105' on Nicholas Parkway. and 10th Terrace. 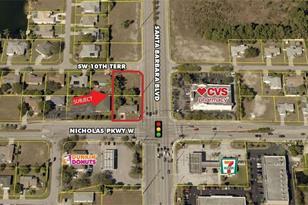 Busy intersection with CVS, 7-Eleven and Speedway at other corners. A conceptual site plan for a 5,950± SF office building is available. Possibility of expanding the project by purchasing the adjacent properties. 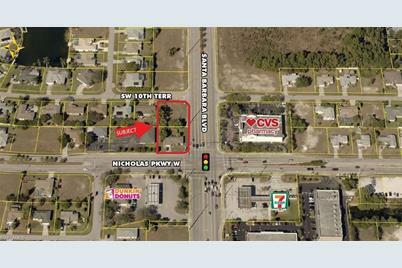 1 Nicholas Pky W, Cape Coral, FL 33991 (MLS# 219029522) is a Lots/Land property with a lot size of 0.6000 acres. 1 Nicholas Pky W is currently listed for $380,000 and was received on April 16, 2019. Want to learn more about 1 Nicholas Pky W? Do you have questions about finding other Lots/Land real estate for sale in Cape Coral? You can browse all Cape Coral real estate or contact a Coldwell Banker agent to request more information.